Mensusa https://www.mensusa.com/articles/tips-and-tricks-about-selecting-the-perfect-mens-fedora-hat.html Tips And Tricks About Selecting The Perfect Mens Fedora Hat Selecting the material, color and design of the mens fedora hat appropriately, you can be assured to get a high-fashioned appearance. These hats suffice to wear across the formal, casual as well as the prom ambiances. Serving as one of the most popular types of fashion accessories, the mens fedora hat turned to be an icon in men's fashion. These hats can offer you comfort from the seasonal aspects and add grace & elegance to your appearance. Pairing the Fedora Hats with your attire appropriately, you take a wise step to accentuate your appearance. 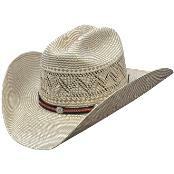 These hats fit wearing in the formal as well as the casual ambiances and display your mature taste and choices. However, it is important that you buy the hats considerately. The article will get you some tips and tricks on the fedora hats. The mens fedora hat can be constructed with wool, canvas, and straw. Ideally, you should have each of these options in your wardrobe. The woolen hats will be ideal for the winters, that will offer you comfort and will show style. The Fedora hats constructed with the canvas and straw will be ideal for the summer, autumn and spring seasons. Selecting the material wisely, you can be assured to get high comfort and can keep on using these fashionable hats, the year round. The Fedora hats will accentuate your appearance in a style that you will get the attention of the crowd, for sure. To get that perfect Fedora hat, consideration of the color is crucially important. You need to ensure that the color of the hat that you choose complements your skin tone and it matches the shade of the attire. It will be wise to pair the lighter shades of the hats with the deeply shaded attire, or you can do the other way round. You can even opt for the contrasting shading between the hats and the attire if you wish to select the deeper shades for your attire and the hat. 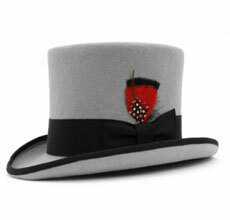 The Fedora hats suit wearing in the formal, casual as well as the prom occasions. However, it is very important that the design of the hats to match to the ambiance that you is attending. The slightest mismatch in this regard will turn out to be a blemish on your appearance. You should opt for the solid patterning for the formal and prom occasions. Similarly, the round crown design will be the ideal choice for the formal ambiances and the tilted crown will rock at the casual events. At www.mensusa.com, you can expect to get a wondrous collection of fashionable Fedora hats. The store will offer you the products from the established brands and hence, you can always be assured of the quality of the products. Better to say, the store will get you the premium products at inexpensive rates so that you win the deals on the perspective of fashion as well as price.